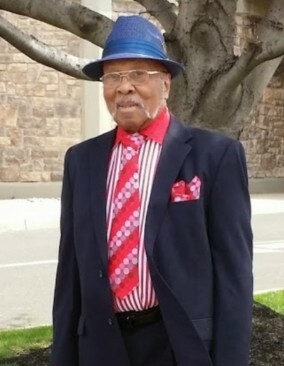 Deacon James Mattison went to be with the Lord on Friday January 18, 2019. He was 86 years of age. Deacon James Mattison lived a full life and had a few great jobs after leaving the Airforce. He worked for the FAA, which landed him at the Newark International Airport working with the air traffic controllers for almost 30 years. On several occasions, throughout his life, he worked a job as a master mechanic at Goodyear and other garages. After retiring, he was around children all day, as he was the main security guard for Mount Airy COGIC day school, where they loved to stop by his desk for candy. For many years he'd open the church, lead one of the early morning prayers sessions and then go to work. In recent years, he served as a part of the church security team. A man of many jobs because he just loved to be around people! A home going service will be held on Monday January 28, 2019 at Mount Airy COGIC, 6401 Ogontz Avenue, Phila, PA 19126. The viewing will begin at 9:00 am with the service to follow at 11:00 am. The interment will follow at Whitemarsh Memorial Park 1169 Limekiln Pike, Ambler, PA 19002. Please remember the family in your prayers.